What’s the first thing that comes to mind when you hear the word edible? For most people, brownies, gummies and other dessert-like treats come to mind. 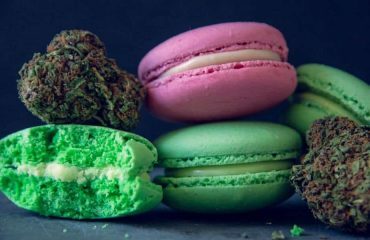 Yet, there’s a whole market of cannabis-infused beverages, or drinkables, that are great for both first-time and experienced users. Drinkables are a great way to socialize with cannabis because hanging out and having a drink is already familiar territory. It may be impossible to get your 65-year-old mother to smoke a joint, but put a cannabis cocktail in her hand (knowingly!) and there’s no telling how much fun she could have. Beverages are also a good choice for an inexperienced user because they’re fast acting and have a shorter lifespan than regular food edibles. That’s because many cannabis drinks are sublingual, meaning they begin to absorb in your mouth, rather than in the liver like a food edible. What’s more, gastrointestinal absorption beings to take effect around 1-2 hours and can last from 4-8 hours, but sublingual absorption is felt by the user at 5-30 minutes and only lasts between 2-4 hours. The shorter lifespan and quicker come up help to avoid two classic cannabis conundrums. 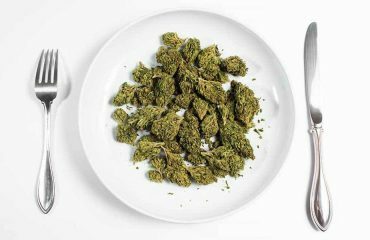 The first being eating too much of a cannabis edible because users “don’t feel it,” and then getting too high for too long once it’s absorbed in the liver. The second, a benefit really: users still avoid all the negative effects of smoking like exposing lungs to tar and heat, as well as dry mouth, coughing and the smell that can turn people off. However, the current cannabis beverage market has some problems. For one, many of the drinks are soda-style with tons of added sugar. Plus, often drinks are too strong for one person in one sitting. For example, I recently received a sample of Mary Jane Juice Co lemonade from Kvsh. It tasted great and made me feel amazing, but there were 200 mg of THC in the entire bottle, so I had to drink it over the course of three days. Because it’s so strong, a whole bottle might be best shared among friends before going out, like a bottle of wine. I believe the solution lies in low dose, low calorie cannabis-infused drinks that are already part of people’s daily routines. Mainly, for drinkables to really take off, they have to be low dose or be easily added to drinks people already enjoy regularly. 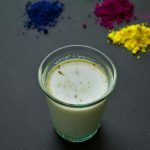 One way to do this—create tinctures, powders or water soluble drops people can add to their usual drinks, like morning coffee or evening tea. One such product, Colorado-based ebbu Aqua Drops, is a novel 5 mg water soluble drop consumers can add to any drink. Their product is so innovative because they’ve created a formula that starts working within 5-15 minutes and only lasts about 90 minutes. Their idea was to simulate the lifespan of a beer and make a “sessionable” edible people can enjoy a few of at a party. There’s also a couple cool cannabis powders that can be mixed in smoothies or protein shakes, like Dro-tein. Dro-tein was created for those who love working out high and using cannabis, especially CBD, for post-workout recovery. There’s a developing trend among athletes to get high before working out because it keeps them motivated and distracts them from pain. Plus, there’s a growing body of research that suggests CBD and THC can help post-workout recovery by reducing muscle inflammation and providing pain and nausea relief. Dro-tein makes protein powders with 20 mg of CBD which is available in all 50 states. A similar cannabis powder product, Mondo Meds, is also good for working out, but their products contain THC, CBD and CBN. Mondo stands out because they only use single source, clean green certified flower for their mix. Their founder, Emily O’Brien, didn’t want to consume sugary, high-calorie edibles, so she created a vegan, gluten-free, low-calorie alternative she could add to anything from her established diet. Not big into powders? No problem. If you do like a little fizz in your relaxing or socializing drink, check out Washington-based Mirth Provisions. They make all natural tonics with local fruit juice, like Washington-grown cherries and cranberries, with locally sourced cannabis extract in cute glass bottles that look like craft beer. Founder, Adam Stites, is a marathon runner, so smoking and vaping doesn’t fit into his lifestyle. Neither did the super sugary drinks and edibles on the market, so he created a natural, healthy cannabis soda with curated ratios of terpenes and cannabinoids to produce desired experiences. Other companies are creating delicious and potent coffees and teas you can treat yourself to on-the-go, like Therapy Tonics. 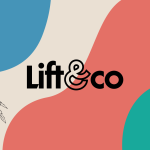 They make delicious morning and evening beverages like an Indian Spiced Cannabis Latte and a Mexican Mocha Cannabis Milk, both sativas with 80 mg of THC. Plus, they also make relaxing evening indica drinks like Chamomile Mint Cannabis Luna Tea with 25 mg of THC and 10 mg of CBD. Many of my favorite “drinkables” are designed to replicate morning coffee and tea drinks, meaning they also have caffeine. However, that could all change next year in the Golden State with California’s new proposed regulations. When California goes full adult-use in early 2018, the California Department of Food and Agriculture (CDFA) is proposing to ban cannabis-infused drinks that include caffeine, among other things. That would take any cannabis coffees, teas and potentially products including chocolate, off the market. Many established brands are not happy, including Therapy Tonics. The proposed regulations are still in a 45-day public comment period until June 12. Make your voice heard by going to one of the planned public hearings or submit your written comments here. This piece was co-created by Michelle Janikian and Catherine Goldberg. 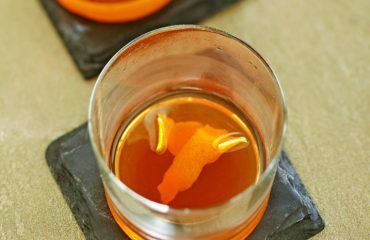 Drink This Cannabis Cocktail Instead of Beer on St. Patrick’s Day!